Introduction to betting on Daily Fantasy Sports contests. The clearly legal sport betting alternative for US players. Daily Fantasy Sport is one of the fastest growing areas in gambling, where players pick a roster of players with the aim of gaining more points than rival players. Daily fantasy sport was born out of the more traditional fantasy contests which took place over an entire sporting season, where individual players score points for particular achievements during a game. 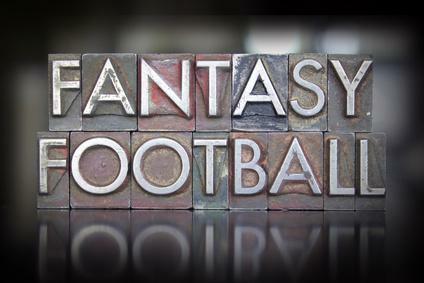 In this piece I take a look at all aspects of daily fantasy sports. I start by explaining how they actually work and the types of contests you’ll be able to enjoy. Next up, you’ll read about the most popular sports featured by the leading sites, finishing with a look at the sites themselves. When entering any contest, you’ll be given an overall salary you’ll be able to spend on your roster. This roster will be made up of a set amount of players, with a designated number of players in each position. For example, if playing DFS football, you might be required to have a quarterback, two running backs, two wide receivers, a tight end and a defense. Each player will have their own individual salary, and you have to ensure that the overall spend on the roster doesn’t go over the maximum amount. On game day itself, the players will earn points for their performance. As an example, a baseball batter will score points for hits, runs, RBI’s, home runs, stolen bases and more. Each player on your roster will earn points for the day and you’ll add all of the player’s points together to receive a points total for the day. You’ll then compare your points to other players in the tournament to see where you finish in the standings. Head to Heads – Here you’ll face just one opponent and the player with the highest number of points at the end of the day will win the contest. 50/50 – Here you’ll play against a number of opponents, where the top 50% at the end of the contest will win. All winning players win the same amount. Tournaments –Here you’ll play with varying numbers of other players. These events can attract thousands of players and the higher you finish in the tournament, the more money you’ll win. Usually, you’ll have to finish in the top 20%-25% to cash in these tournaments. Guaranteed Tournaments – These tournaments have a guaranteed prize fund, regardless of how many competitors are playing. Survivor Tournaments – These are tournaments that take place over a number of weeks. Each week a certain percentage of players with the lowest total will be eliminated, players aiming to survive from week to week until the final. Satellite Tournaments – These events are qualifiers for bigger events. 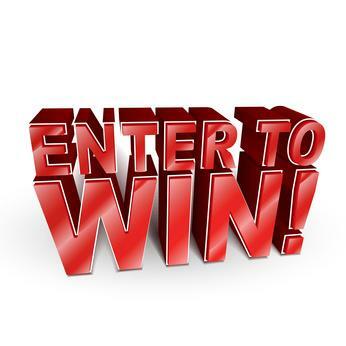 As an example, you might enter a tournament for $2, the winning prize being an entry into a $250 event. Steps Tournaments – These are similar to satellites in that you’ll be aiming to qualify for a bigger event for a smaller stake. The key difference however is that instead of just one tournament, you’ll be required to move through each step, taking on a smaller number of opponents each time than you would at a standard satellite. The most popular sports in Daily Fantasy Sports are the NFL and Major League Baseball. These both offer the biggest events of the year, with players having the ability to win million dollar prizes in the biggest tournaments of the season. Many thousands of football fans enjoy the weekly contests with the majority of games taking place each Sunday, while baseball fans can enjoy a contest virtually every day of the season. Other major North American sports leagues are also offered, including the NBA, the NHL and college football and basketball. You’ll also be able to enjoy weekly contests on golf on the PGA tour, as well as soccer contests on both the English Premier League and the UEFA Champions League. FanDuel – This site has a user base which is bigger than that enjoyed by any other site. You’ll find a large number of contests available, including all of the tournament types listed above. Some events will attract in excess of 10,000 contestants. FanDuel offers some of the biggest daily fantasy contests, including the Daily Fantasy Baseball Championship and the King of the Diamond. DraftKings – This Company has grown immensely in recent months after their acquisition of rival site DraftStreet, making them a real rival to FanDuel. You’ll find a great number of contests here, with many special events including the multi-million dollars Fantasy Baseball Championship and the Football Millionaire Grand Final. You’ll also be able to qualify for the World Series of Poker at this site.